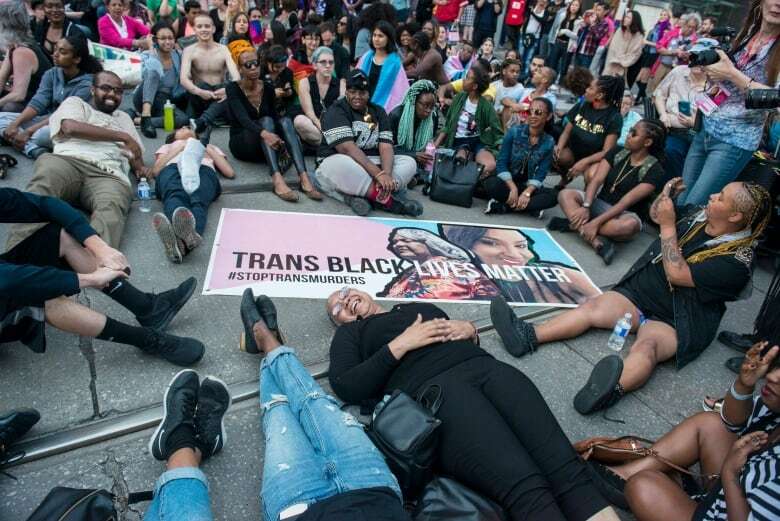 Claims that Black Lives Matter held the Pride parade hostage are empty, writes a group of black LGBT community leaders. The group was carrying on in the spirit and tradition of Pride, the elders say, by standing up for vulnerable communities. 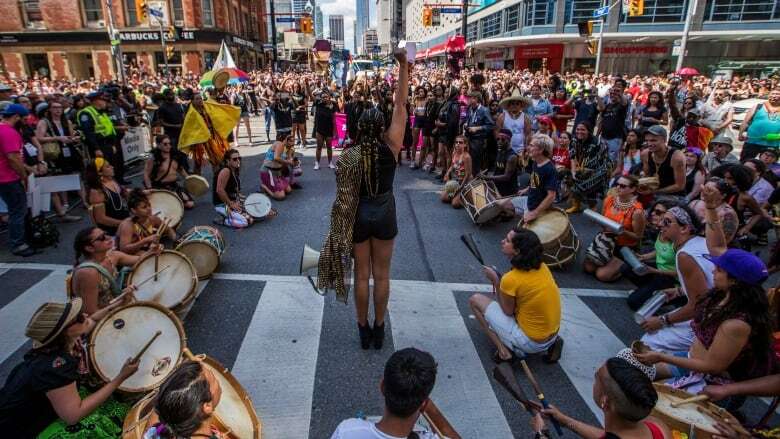 In the wake of the controversy surrounding Black Lives Matter Toronto's protest at this year's Pride parade, CBC News invited black LGBT scholars and activists to share their thoughts on this weekend's events. As those requests filtered out, several community leaders began to speak with one another, and to reach out to colleagues. They decided to write collectively; the full list of signatories is below. Each generation articulates and acts on its political demands in the way it needs. 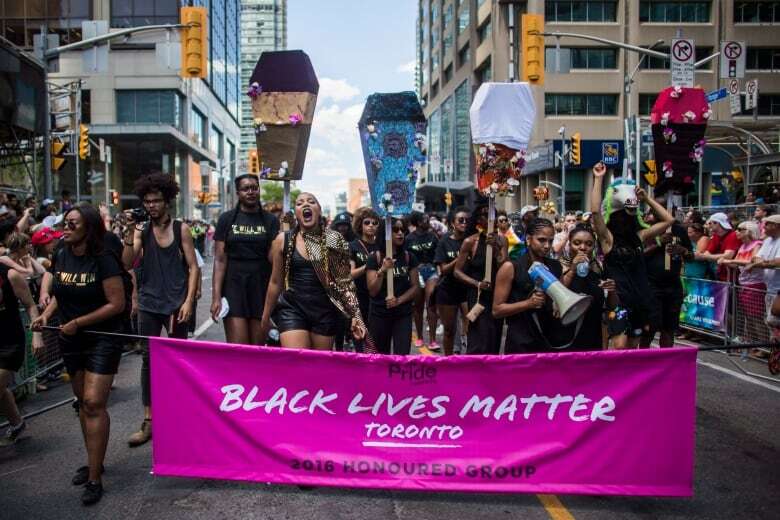 Several of us were honoured with an invitation to march with Black Lives Matter Toronto in Sunday's Pride parade. We accepted immediately — knowing that they would likely do something dramatic, something special, something that would challenge the too-easy, corporate display the parade has become. Toronto's Pride march grew out of our community's resistance to massive police raids of bathhouses in 1981. Two of Pride's original organizers — Gays and Lesbians Against the Right Everywhere (GLARE) and Lesbians Against the Right (LAR) — were liberation groups dedicated to fighting the anti-gay, anti-feminist and racist right-wing politics of the day. Thousands of queer men, lesbians and supporters took to the streets on a number of occasions that year — including taking over Yonge Street when it was against the law to march on Yonge Street. Many people of colour facing racist police repression came out in support, and many in the gay and lesbian community returned that solidarity. Black Lives Matter Toronto is continuing a practice of intervention and resistance, firmly rooted in a tradition of protest. The demands of Black Lives Matter Toronto have a long history within Pride. The agreements that Black Lives Matter Toronto secured on Sunday should not be diminished. Claims of extortion, of holding the parade hostage, are just that: empty claims. The list of demands Pride Toronto has publicly agreed to — providing space and funding for groups like Black Queer Youth, increasing equity and autonomy for groups within the community, and addressing policing issues — have been discussed as part of Pride's engagement process as far back as 2012. In the decades since Pride began, other communities have seen their spaces disappear while a white gay male dance party has proliferated and grown. If that is your tea then sip it, but this year Black Lives Matter Toronto took Pride back to its roots, with fabulous success. Black Lives Matter got attention, but did its tactics hurt? In the tradition of black radical politics, they did not just make their demands about black people, but instead modelled what queer inclusion really means, by also requesting employment and community spaces for South Asian, indigenous, trans and people living with disabilities. We are thankful they reminded us of our past while making important demands of the present. We were, for the first time in many years, proud to be queer at the gay parade. Courtnay McFarlane, artist, poet, community worker, founding member of AYA men and Blackness Yes! Black Lives Matter got attention, but did its Pride tactics hurt or help its cause?